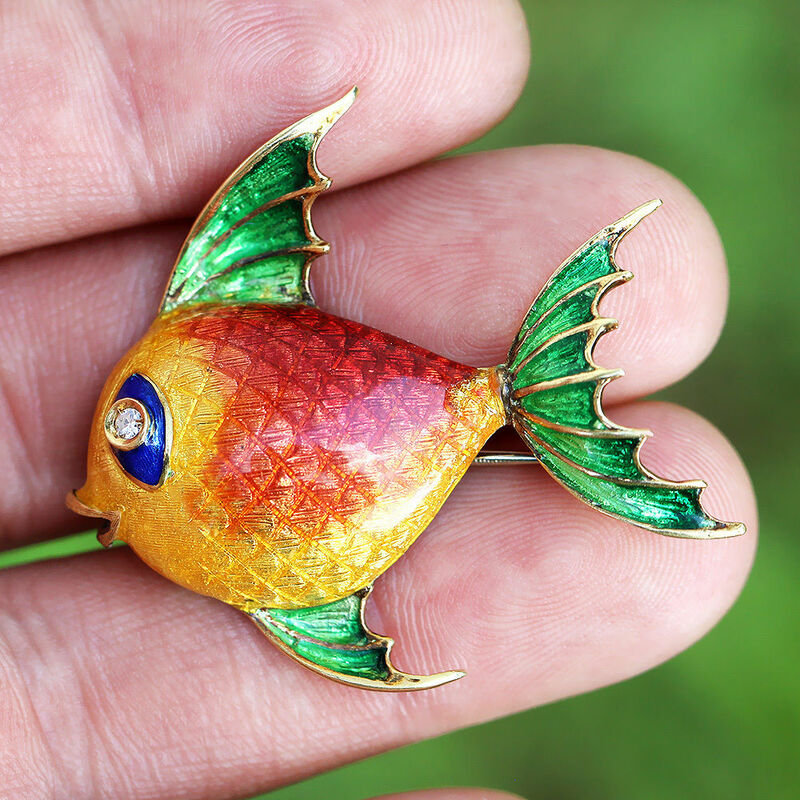 Featured is a very unique and vibrant vintage fish brooch crafted in the 1950s. It is made of solid 18kt yellow gold as well as a beautiful array of enamel layered over the textured gold fish which is incredibly and accurately detailed. The body displays a vivid display of yellow and red enamel over a Florentine finished texture with cross-hatching that resembles the scales of the fish. The eye of the fish is encrusted with a single cut diamond accented by blue enamel. 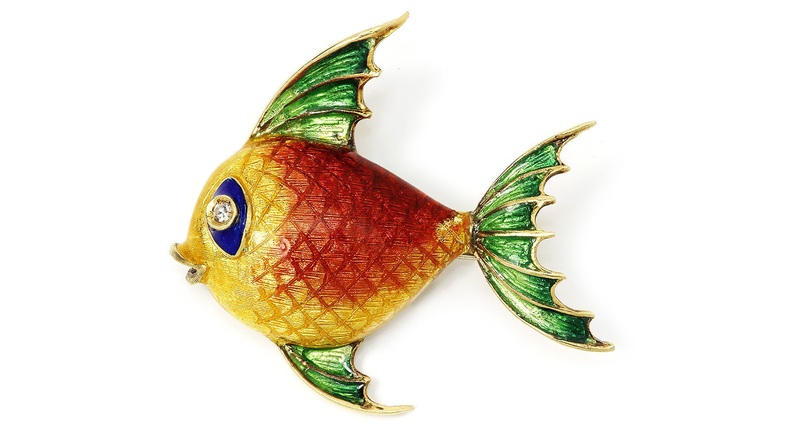 The fins of the fish are masterfully crafted as well featuring intense green enamel. It measures just over 1 1/2” in length and width. The fish weighs 10.4 grams and is in spectacular condition with some tarnish on the back of it yet this can be polished upon request.